Visit the InfantSEE website to learn more. Low-cost, high-quality refurbished laptops and desktops. Computers and technological literacy are essential in the modern world. Those without access to a computer are in danger of being left behind. Thus, poverty and educational success are directly related. The achievement gap starts before preschool. 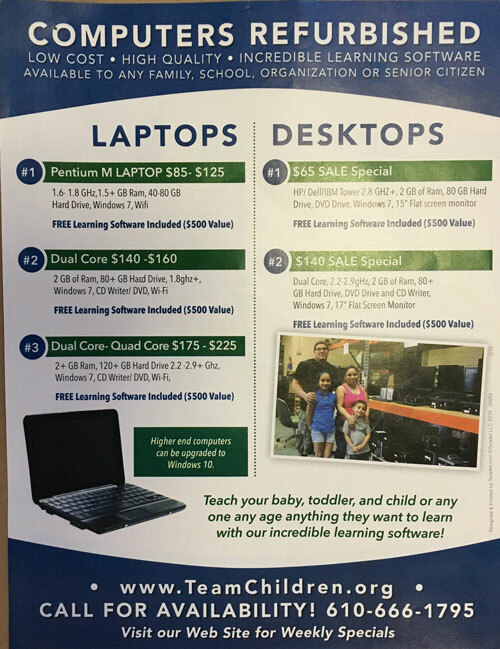 By distributing over 14,000 low-cost, high-quality refurbished computers with advanced early learning software to individual families, schools, and organizations, we have changed the lives of disadvantaged children throughout Pennsylvania, the nation, and the world. 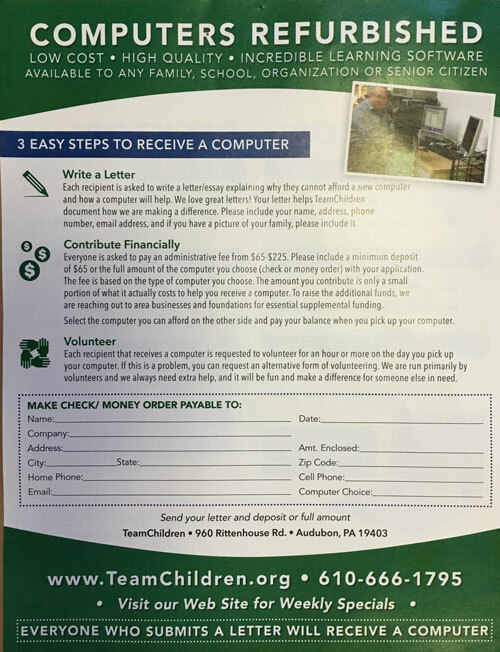 Visit the TeamChildren website to learn more.